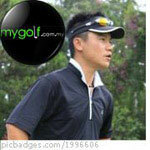 Titleist South East Asia is pleased to announce the launch of a new NXT Tour and NXT Tour S Promotion Pack. For a limited time, purchase your favorite NXT Tour, NXT Tour S or NXT Tour S Yellow golf balls in a pack of 2DZ, and receive a limited edition NXT Tour cap and Water bottle. You are driven to be the best player you can be. 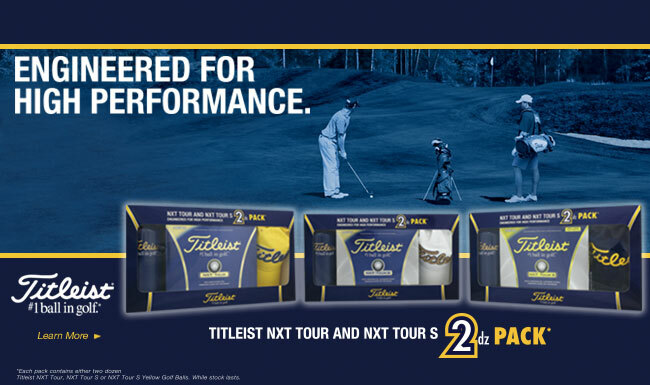 Engineered for high performance, the new NXT Tour and NXT Tour S golf balls will help you reach your potential. Both NXT Tour and NXT Tour S deliver low driver and long iron spin for outstanding distance and also offer excellent short game scoring performance and soft feel. Golfers can find an NXT Tour that meets their personal preferences as NXT Tour S provides a softer compression feel and is available in white and high optic yellow. The packs have now shipped across Singapore and Malaysia and will be available in store over the next few days, while they ship in Thailand on September 9th and Indonesia, Philippines, Vietnam and India in the weeks following (check with your local golf store about exact timing in these countries). The Limited Edition Caps are available in 3 colours (Blue, Yellow and White) and are randomly split across the NXT Tour, NXT Tour S and NXT Tour S Yellow packs, ensuring golfers can collect all three while still playing their preferred golf ball. Be sure you head out and pick up one of these packs today, before stocks run out. Happy Golfing. How much do you think the price Wil be? If not mistaken is rm30/sleeve. If I am not mistaken, they sell this for RM280. Suppose unless you see extra value to spend on the bottle and cap, it's the same price for two boxes of balls.. I thought this to be a promotion ?